I would like to share this video from Tim Harford, first because I liked one of his book on economics (probably it would be good to get the last one “Adapt”), and second, because this video has an interesting teaching that can not be enough remembered by all of us. It’s about an illness [not really an illness] that a smart doctor, with experience in the Spanish Civil War and WWII, found among our species. Anyways, here below is the way Tim Harford explained about him. Below I typed the part when he specifically introduces this specific illnes. I love this quote, and the whole speech. Unfortunately, I think like all of us, he’s not free from this illness. In the same speech to prove his point he mentions than 10% of the American business disappear every year. That is for him an example of the crucial trial-and-error process. Trying to explain the entrepreneurial dynamics only through these entrepreneurship rates… it’s as he would say: “simply far too complex to understand in that way“. This morning I attended the funeral of Henrik*, a friend of the family. He is Danish and we met him when he started going out with our good friend Isabel. They dated a couple of years and last summer they got married. He, like his wife, was a superb economist. Henrik graduated from one of the best, if not the best business school in Scandinavia. He successfully worked in a major trading company, but having in his genes the potential to be a highly successful entrepreneur, he started his own company with the support of some friends. He was the managing director, and work hard hours for the business to take off. A few months ago, we invited them for dinner, but only she could come, he stayed working. This week he committed suicide. He left letters with kind words to his family and wife. He assured them it was not their fault, that he loved them and knew they loved him, but that he could not take it anymore. As today was his funeral, I could say many good things about him, but honestly, he was a good man. I though he loved a lot our friend Isabel. This is a very personal story, that I’m sharing here. But I feel I have to write about it. As this blog is about economic geography, local development and entrepreneurship, many times I have talked about the complexity of this issues. Recently I added a post about how hard it is to be an entrepreneur. Some will say, that they have never said it was easy. I say, policy makers and academic gurus, should not only avoid to say “it’s easy” (even though many times they imply it), they should clearly say that it is usually really hard. Probably Henrik did not took his life because of his occupation, but because of a mix of reasons beyond our comprehension. However, knowing a little the situation, his entrepreneurial edge seems to have played a role in this tragic situation. This experience today, should remind each of us the challenges of entrepreneurship. Something, that sometimes researchers, and probably everybody, forget. *The names have been changed for privacy considerations. Comments Off on Henrik, Rest In Peace. I focus in the poster behind this gentleman. Entrepreneurship it says, and then two hands trying to grab or magically making float a light bulb. 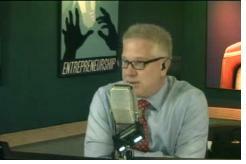 I have the impression that this is a promotion of the classical idea of Entrepreneurship. The 1000 times repeated mantra that anyone can have an idea, work hard and become rich. The proof is the thousands of individuals who have done it. 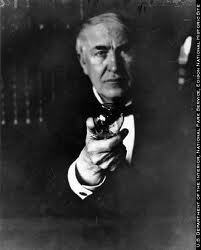 They have put in our mind the idea of Edison working in his lab, coming up with something that we all admire. Sure, he was a genius, but he was not alone. Successful entrepreneurship is about working with people. Even though Edison is alone in the pictures, there should have been a picture of many. 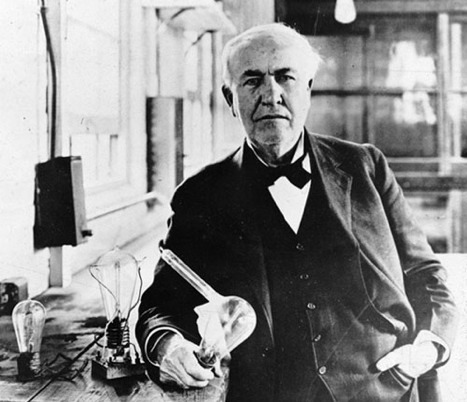 He had a strong network of people who provided valuable ideas, not only for the light bulb, but many other inventions. See for example the article in Wikipedia: Edison Pioneers. Entrepreneurship is not about individualism. I thought that, but I was wrong. Ideas are good, but are worthless until someone get things done. That is an entrepreneur. But entrepreneurship lives within a system. And if we want economic development, and progress we need the right socioeconomic innovation system. An environment, that I would say in most of the times it’s not necessarily accord to the ideas aired by Beck. I come from a family of entrepreneurs, some firms did ok but the majority failed. I know how the lives of these people are, because it was mine. The vast majority (for example in the US, every year 2 million Americans start their own business) is a bad life. It really breaks my heart to see people buying the story of a successful individual, and just keep trying day after day, without the right network. Let’s not encourage wrong ideas about entrepreneurship.